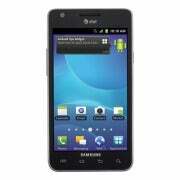 AT&T’s Samsung Galaxy S II has arrived, which is good news for smartphone users who want the device during the holiday season. The smartphone, which has been a big hit in Europe and has surpassed 10 million in channel sales, is now available for purchase at AT&T’s website for $200 with a two-year contract. The phone had been widely rumored to be available from AT&T on September 18, but that date came and went with would-be buyers scratching their heads and wondering when they would be able to get their hands on it. Sprint customers, however, were able to buy that carrier’s version of the Galaxy S II, the Epic 4G Touch, on Sept. 16. Unlike Sprint’s version, however, AT&T’s handset supports Near Field Communication (NFC). That makes sense since AT&T, along with T-Mobile and Verizon, created the mobile payments joint venture Isis, which will compete with the Sprint-backed Google Wallet. Both Isis and Google Wallet will let people pay for things in stores by tapping their phones to a reader at the point of sale. As for T-Mobile’s version that is expected to be available October 12, FCC filings confirm it will contain NFC as well, reports Engadget. Beyond NFC, however, AT&T’s Samsung Galaxy S II has plenty to boast about. The pros: It has a stunning 4.3-inch Super AMOLED Plus display, Android Gingerbread With TouchWiz 4.0, an app that lets you view call logs, videos, photos, bookmarks, and IMs, and send SMS messages from your PC, an impressive 8-megapixel camera plus a front-facing camera for video calls, and a 1.2GHz dual-core Samsung Exynos processor. The con: Reviewers found that the Galaxy S II had a security flaw that enabled the phone to unlock by itself. Samsung and AT&T are aware of the problem, reports TechCrunch.